Meat kills. The more we eat the more likely we are to die. At least that is what mainstream media seems to promote. But is it true? Are we more likely to die if we eat meat? Or is it possible that there is something that makes meat healthy? That is not an easy question to answer. Yet, opponents of meat make it seem like an open and shut case. Guilty as charged. Take for example the most recent news headlines about a study in Lancet Public Health. This study concluded that those who followed a low carbohydrate diet had a very small increased risk of dying, especially if they replaced the carbohydrates with animal food sources (1). That is enough information for a catchy headline, and sure enough the media did not disappoint. But when you dig further, you realize that the details of the study don’t live up to the hype. For starters, the nutritional data in this study came from two food frequency questionnaires over the course of 25 years, and they were 6 years apart. How many eggs per week have you eaten over the past six years? How often have you eaten veggies? And will that remain consistent over the next 20 years? Hopefully that shows you the quality of data we are dealing with here. Food frequency questionnaires have been shown to be incredibly unreliably, and very poor quality data. Participants who consumed a relatively low percentage of total energy from carbohydrates (ie, participants in the lowest quantiles) were more likely to…have high body-mass index, exercise less during leisure time, have high household income, smoke cigarettes, and have diabetes. Let me get this straight… People who smoke more, have diabetes, don’t exercise, are heavier and eat a low carb diet have a very small increased risk of dying? How can we attribute that to a low-carb diet in any way? This study was not equipped to answer the question if it was due to the type of food, or if it was due to numerous other potential factors. There are plenty of other issues with the study such as not controlling for quality of carbohydrates, quality of protein sources, or comparing those who combined vegetables with meat. Hopefully you can see that concluding “Low Carb Diets Kill” from this type of study is an inaccurate conclusion. It is catchy and will get clicks, but that doesn’t make it accurate. It would be excusable if this was a rare instance. However, this happens over and over again. It’s easy to call these ”bad studies” or “poorly done studies.” In reality, there is nothing wrong with the studies themselves. The problem is in how we interpret and report the findings. Those who promote the results as causative fact simply do not understand how science works. At most, we can conclude that this is an interesting finding that deserves more rigorous studies to decide if there is a single causative factor (such as amount of red meat or lack of vegetables or source of carbohydrates or smoking) to directly explain the risk. Does that mean eating meat helps us live longer? In fairness, we also do not have high quality long term studies suggesting that eating a diet low in carbohydrates and high in fat with ample animal food sources reduces our risk of dying. That data simply does not exist. We do have some studies showing improved blood sugar, inflammation markers, and bodyweight in a high-fat, low-carb group in comparison to a low-fat group (2, 3). So, what do we do in the absence of conclusive data? We do our best to find out what works for each individual. In recent years we have had a simultaneous increase in meat consumption along with a decline in heart disease. This is illustrated in the graphs below. What this shows us is that the story is a little more complex than meat or no meat. As discussed before, many studies that supposedly expose the dangers of meat consumption heavily rely upon cohort studies using food questionnaires as data. At best, these kinds of studies can suggest correlations between different variables and guide future research with more controlled parameters. Be careful of those who use correlational cohort studies to argue that meat absolutely 100% causes health problems. An example of this logical shortcoming is the recent statement by the American Heart Association that coconut oil is dangerous for your health. What we know now is that these claims are largely founded on some very old cohort studies that have been largely disproven since. These studies are based around the old concept that saturated fats and cholesterol are what cause heart disease. In reality, it is more likely inflammation that causes heart disease – sugar and processed vegetable oils being two major sources of inflammation. If you’ve tuned into some of the recent pop documentaries on the topic of nutrition, you may have seen those portraying all meat and related industries as the worst thing in our society. They will claim consuming meat is both destructive to the body as well as the environment. While factory farming fits the bill in some cases, there are nuances to these arguments. In fact, many of these arguments are completely unsubstantiated. Dr Jockers wrote a great piece breaking down these popular arguments in his What the Health Movie Review. In many documentaries, blogs, and other prominent plant-based nutrition sources, it is common to refer to a particular study that supposedly showed an increased risk of colon cancer in those who ate meat (4). This study is often referred to as showcasing a “20% increase in cancer risk”. In reality, there is a 1% increased risk of colon cancer amongst those who consume heavy amounts of processed meats (like salami and bologna) on a daily basis. The reason people are able to interpret this as 20% is because there was an increased absolute risk of 5% to 6% of colon cancer between non-meat eaters and meat eaters, respectively. The increase of 5% to 6% is a relative increase of 20%. The graphic below goes a little more in-depth on this. 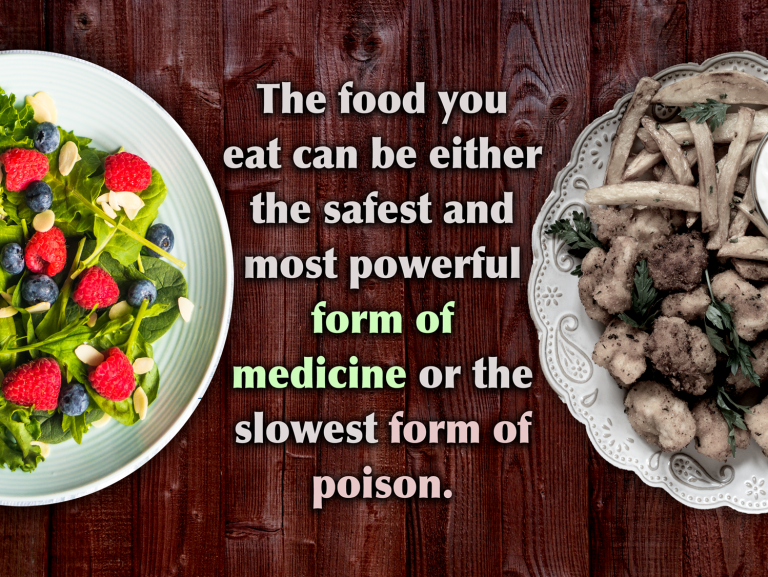 If you are consuming fresh, pastured meats – especially in combination with vegetables and herbs, I would speculate that the risk would be minimal. It is also common for plant-based advocates to claim that meat consumption is a more significant factor in determining diabetes risk than sugar consumption is. I simply do not buy this argument. 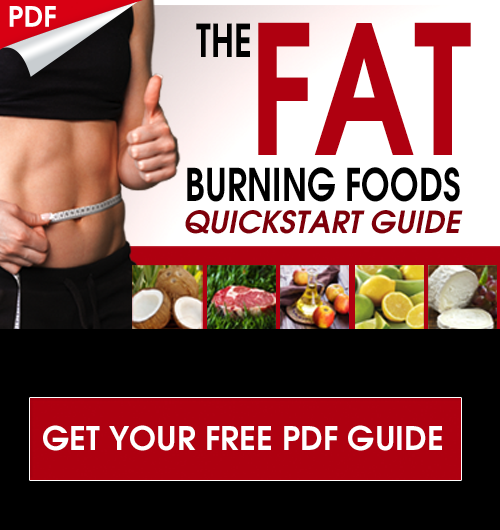 Ironically, their commonly proposed solution is to remove all fats and animal products form the diet and replace the majority of calories with carbohydrate sources. When carbohydrates are consumed, they are converted into glucose. Insulin is used as a transport molecule to carry glucose into the cells. The more carbs are consumed, the more insulin is needed to get that glucose into the cells. Eating too many carbs over time can desensitize your cells against insulin signals. What this does is prevents glucose from being able to enter the cells. Instead it hangs out in the blood and this is known as insulin resistance. These conditions ultimately lead to things like type II diabetes. A commonly generalized opinion is that all meat consumption leads to heart disease or at least contributes to it. Again, the science often cited for this claim is based on cohort and food questionnaire studies that are incapable of suggesting any kind of causation between variables. A recent 2017 review study in the International Journal of Preventative Medicine, looked at the correlative relationship between red meat consumption and heart disease. Although this is also based on correlative data, the authors of this study reviewed several previous studies on the topic and determined that there was no significant relationship between red meat consumption (supposedly the most unhealthy meat) and heart disease risk (5). In fact, much evidence suggests that cholesterol is not the issue here. Oxidized cholesterol does cause problems, however. Oxidation of cholesterol often occurs when inflammatory pathways in the body are elevated (6, 7). The graphic below outlines some interesting facts about factors that influence heart disease risk. One final common argument made against the consumption of meat is that it is harmful to the environment. The arguments for this typically discuss water requirements, greenhouse gas emissions, animal welfare, and the production of feed. While factory farming operations are certainly devastating for the environment, there is a movement called regenerative agriculture that seems to be actually be a vital component to sustainable framing practices. We can actually use pasture-feeding animals to sequester carbon in the soil and return a diverse abundance of microbes to our environment. The result is more nourishing foods and a cleaner, healthier environment. The graphic below goes into more detail about how this process works. From my clinical experience as a practicing cardiologist, it is painfully clear that a “balanced diet,” or eating in ”moderation” are not the answers to our country’s ailing health. Instead, we need to find a way of eating that is “extreme” enough to reverse chronic disease, promote health and fit into our lives. Are you eating in a way that helps you maintain a healthy weight, promotes metabolic health (i.e. reverses diabetes and metabolic syndrome), and reduces markers of chronic inflammation? 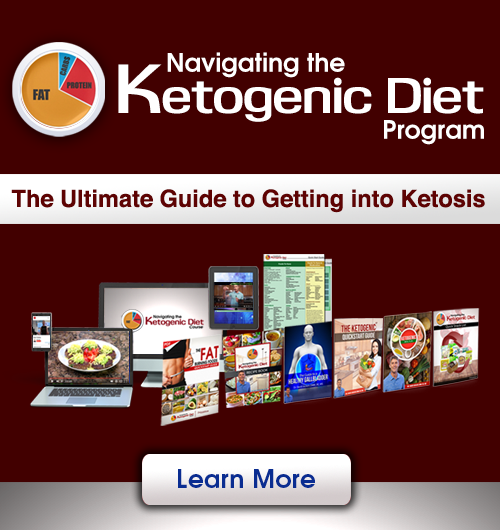 Are you eating a diet you enjoy, that helps you feel energetic, that allows you to perform your best, and that you can maintain for the long term? If you answered “Yes” to both of these questions, then my next questions is: What more data do we need? Don’t believe the hype. Don’t buy the click-bait headlines. Instead, dig deeper, educate yourself. If you still need direction, work with a professional. Just make sure to pick someone with clinical experience, an open mind, and the ability to see you as an individual. We’ve all been told that cancer is a death sentence… but well over 100 of the leading alternative health experts want you to know the truth! As our knowledge of cancer evolves, we have more cancer survivors and alternative health experts challenging what we used to believe as true. And this is a good thing. I was honored when my friends Ty and Charlene Bollinger asked me to share my experience, expertise, and knowledge in The Truth About Cancer: A Global Quest docu-series. Since it first aired, this thought-provoking cancer documentary has been seen and shared by millions of people. The ripple effect has caused a massive, life-changing movement as people start to know the truth about cancer. I’m happy to see that cancer is no longer seen as a death sentence and people are now empowered to treat it and beat it, naturally. But we need more people to know what we know. So, Ty and Charlene at The Truth About Cancer have decided to make the docu-series FREE to watch starting October 9th. If you like what I usually share, I know you’re going to love this! P.S. Please share this message with your friends, family or anyone else you know who’s been impacted by cancer or chronic illness. You may very well change their lives. The docu-series starts on October 9. * if you do, what meat/s do you eat and how much/often? Please enlighten us. You bio suggests that your perspective would be valuable.